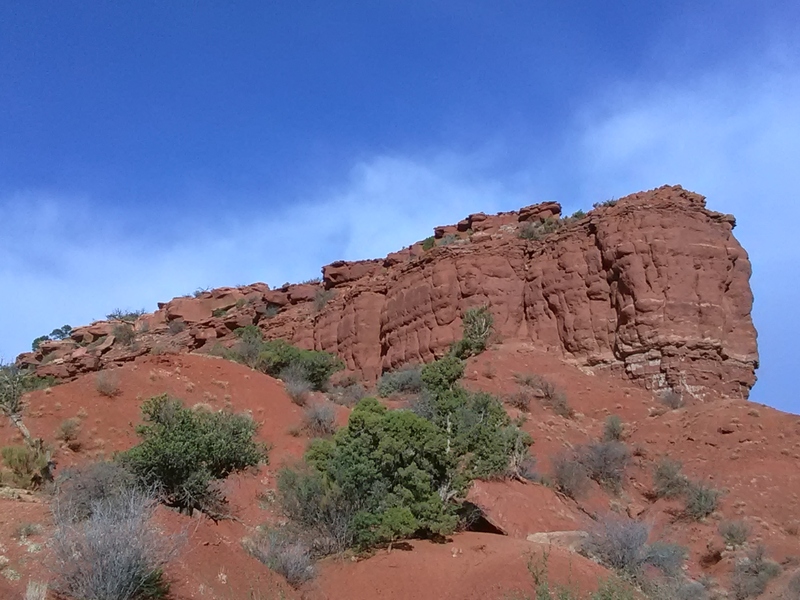 The Man and I were in Santa Fe, and Jerico the dog had been spending a lot of time in the van. Jerico’s a puller when he’s on his leash, so he’s not much fun to walk with. His leash is attached to a harness instead of a collar so he doesn’t choke himself with his pulling, but still, The Man has to keep an iron grip on the leash so Jerico doesn’t drag him around. One day we put Jerico on his leash after we ate our lunch, and we walked with him around The Plaza. Jerico enjoyed being outside and meeting other dogs, but it was embarrassing when he ducked under the ropes cordoning off the lawn and took a giant dump on the lush, green grass. Also? It wasn’t much fun for The Man to feel as if he were risking having his arm pulled out of its socket while Jerico tried to go his own way. The next morning, after The Man had his coffee, I reminded him that we’d talked about taking Jerico to the dog park. We decided to do it, to let Jerico have some special doggie fun. As I drove us to the park, The Man told me it was the biggest, the coolest dog park he had ever seen. 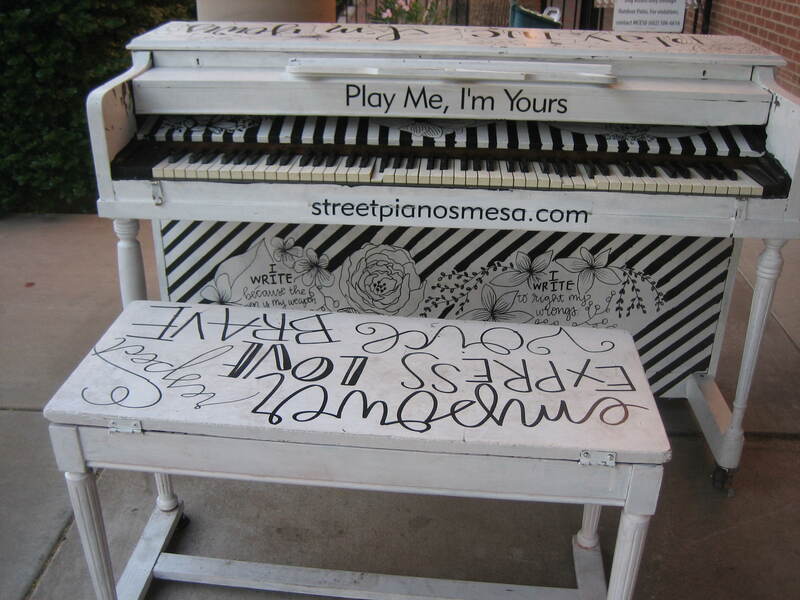 How cool could it be? I wondered. Aren’t dog parks just a patch of grass where dogs get to run around off leash? A big patch of grass would make a better dog park than would a small patch of grass, but a big patch of grass is still just a patch of grass. 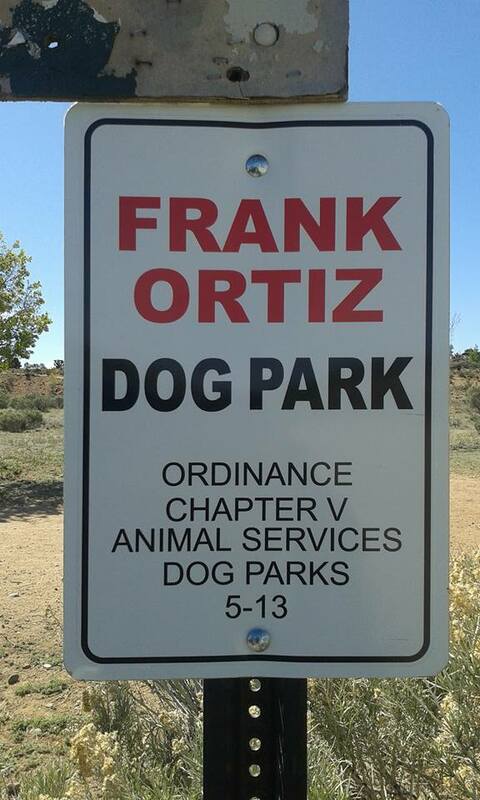 However, I was surprised and pleased when I saw the Frank Ortiz dog park. First of all, it’s huge. According to the City of Santa Fe website, the dog park consists of 135 acres. Secondly, the Frank Ortiz Dog Park is not just a big patch of grass. The 135 acres consists mostly of natural terrain. Juniper trees dot the sandy, rocky land. Trails criss-cross the area and while there are a few benches scattered around and a large, flat, empty area good for playing fetch, most of the park is the way nature made it. We were at the park around eight in the morning, and it wasn’t very crowded. Of course, the park is so big, dozens–maybe hundreds–of dogs could be running around, and the place wouldn’t feel crowded. The Man strapped on Jerico’s harness so he could grab the dog and pick him up like a suitcase if a fight occurred. Jerico might not start a fight, but he’d get into a scrap if another canine tried to boss him around. Once he was harnessed, Jerico was let loose to run around and sniff and scratch around in the dirt. Usually, when The Man and I are on a nature walk and the dog’s off-leash, Jerico stays several paces behind us. During those times, The Man and I periodically turn around and call Jerico to catch up with us. Less frequently, he’ll run ahead of us and stop, then look back as if pleading for us to catch up with him. On the day at the dog park, The Man and I had turned around a couple of times and urged Jerico on. We were plodding up a hill when Jerico shot past us, crested the hill, and disappeared over the top. The Man called him, but Jerico didn’t stop. Come on, Honey, The Man said to me. We have to run. I’m not running, I told him. I’ll meet you on the other side. The Man jogged off while I continued up the hill. At the top, I found The Man snapping the leash onto the rings on Jerico’s harness. Oh, the shame, I told Jerico, of having to wear a leash in the dog park. We continued to walk around, and Jerico successfully made friends with other canines. One lady started talking to me and The Man while her dog and ours sniffed rumps. Does your dog run away? she asked. Mine used to run away too, she told us. But then one day I hid behind a tree. She looked around for me like she was worried, so then I came out from behind the tree. I told her no more running away from me, and she never did again. You have to treat them like little kids. After we walked away from the woman, we decided Jerico probably wouldn’t even notice if we hid behind a tree while he was fleeing the scene. We thought we shouldn’t experiment with the woman’s technique to curb runaway dogs. We walked around another ten or fifteen minutes, then let Jerico off the leash again. He behaved at first but then decided to ignore The Man when he called. It was back on the leash for the headstrong Jerico. We went back to the van and loaded up. I want to stop at the information board, I told The Man. I thought it might offer, well, information about the park or at least some sort to photo opportunity for a picture to go with this post. Alas, the only information was a couple of flyers announcing lost dogs and a couple of signs giving the name of the park and park rules. However, next to the non-information board, there was a Little Free Library. Yippie! I love Little Free Libraries. This one at the Frank Ortiz Dog Park is only the second one I’ve visited in person. (My first visit to a Little Free Library was in Los Gatos, CA.) 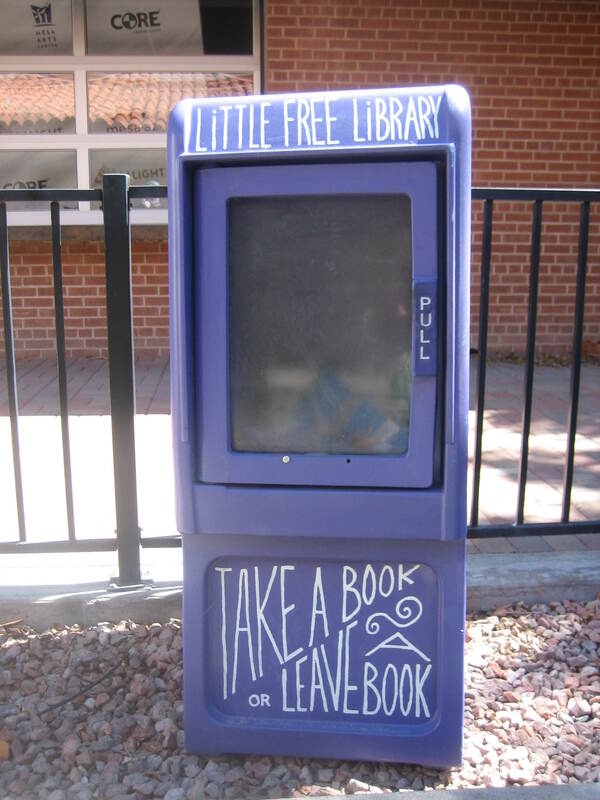 I was enamored with the concept of Little Free Libraries long before I visited one. 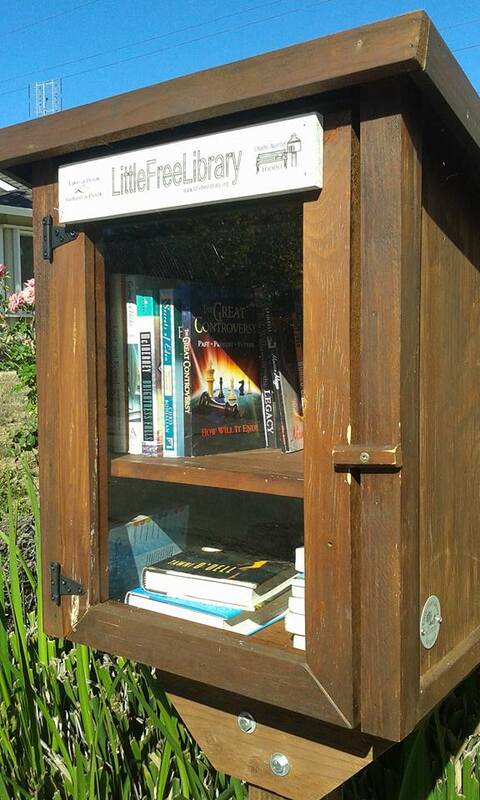 I love both books and gift economies; Little Free Libraries combine both of these loves. Students from Youthbuild at Santa Fe Community College [were] building mini libraries to install around Santa Fe, NM. 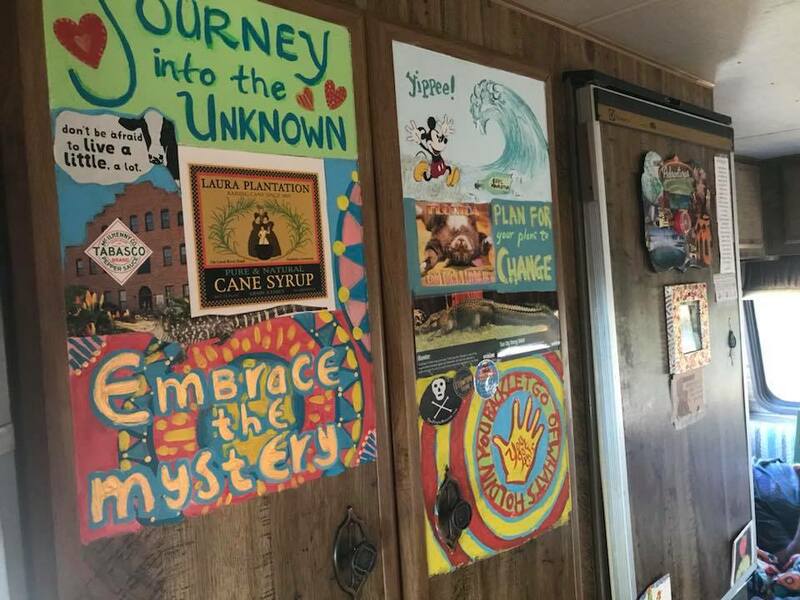 Their work will add to the growing list of Little Free Library exchanges currently in 50 states and 70 countries! 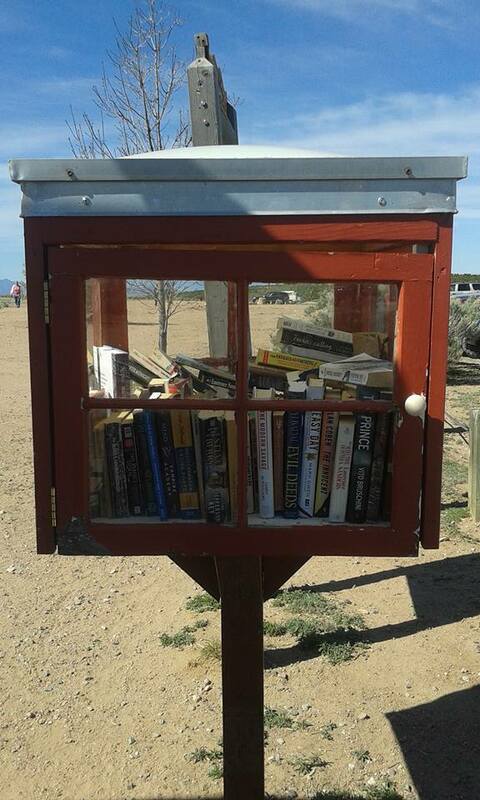 As soon as I saw the Little Free Library, I started rooting around in the van hoping to find the Tony Hillerman novel I’d recently finished reading so I could donate it. Success came between the wall and the food of the bed, and I happily placed the novel among the other free-to-new-home books. 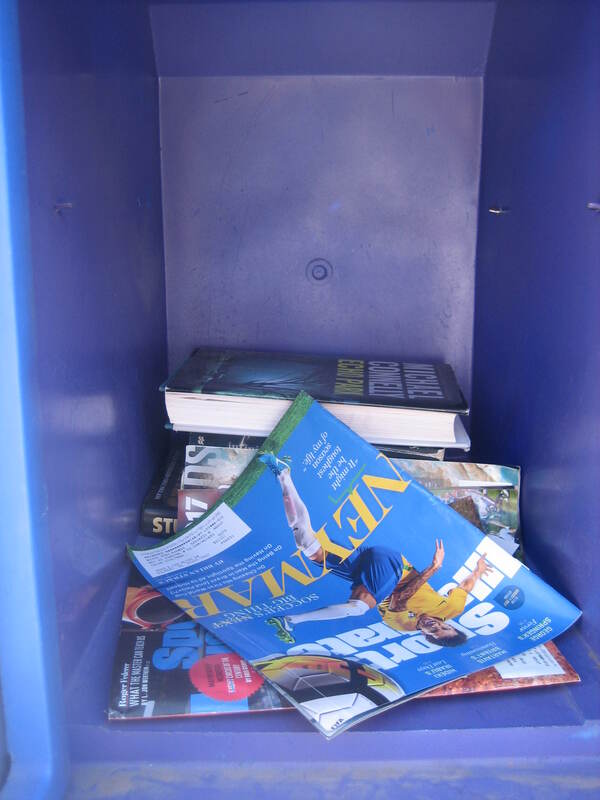 I didn’t find any books I was excited to read in the Little Free Library, but The Man took a couple. I wasn’t really even looking for free books because I currently have plenty of reading material. My pleasure came in spontaneously finding a Little Free Library and being able to leave a book I hope another reader will enjoy. The entrance to the parking lot of the Frank Ortiz Dog Park is on the southwest side of Camino de las Crucitas at Buckman Road. 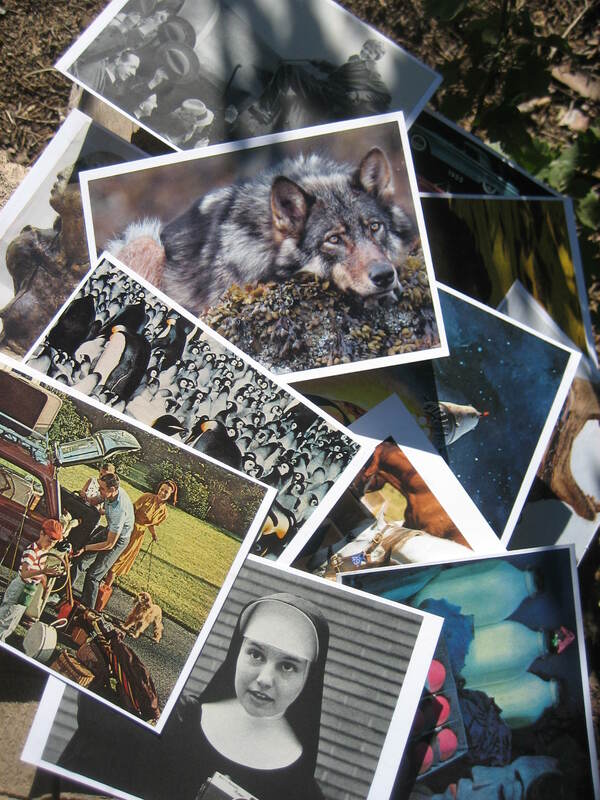 I took the photos in this post, with the exception of the cover of Skinwalkers. That’s an Amazon Associates link. 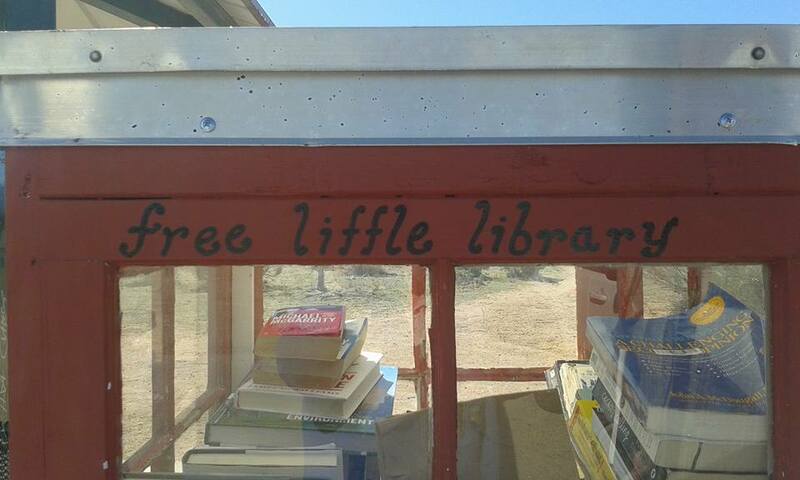 I’d heard of Little Free Libraries before, but I’d never visited one. …anyone may contribute or take books. The more the merrier! 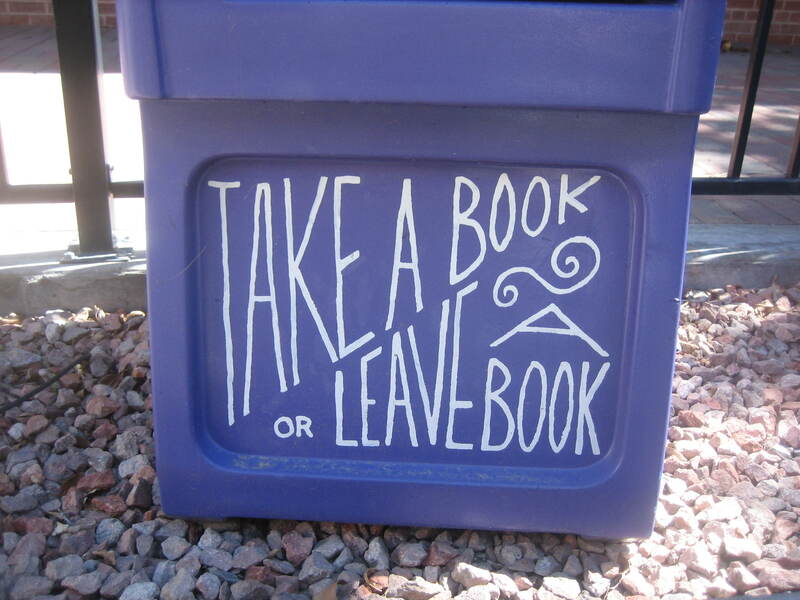 If you take a book (or two) from a Library, you do not need to return that exact book. However, in order to keep the Little Library full of good choices for the whole neighborhood, the next time you swing by the Library bring a few books to share. Little Library book exchanges function on the honor system; everyone contributes to ensure there are always quality books inside. I was visiting my friends in Las Gatos, CA, and The Librarian casually mentioned the Little Free Library within walking distance of their house. What? Where? I wanted to know. This was my very first chance to visit a Little Free Library. I got vague directions from The Librarian, but almost didn’t go because it took me forever to get myself ready to leave town. 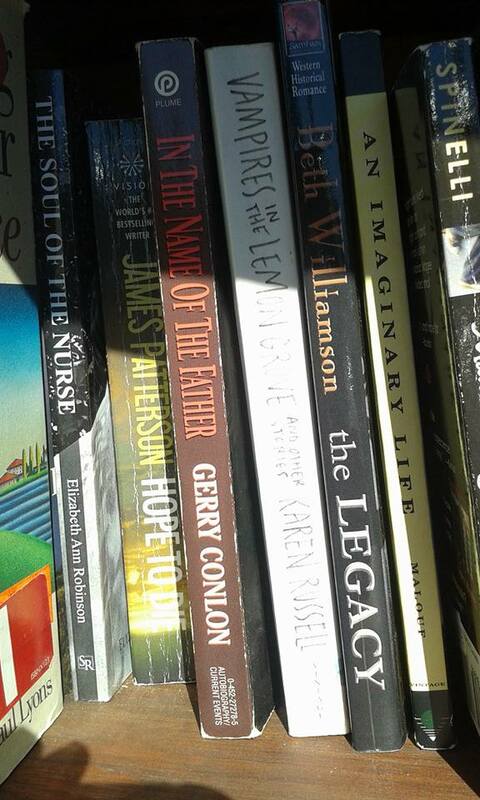 But I managed to pull myself together just in time to visit the Little Library before I had to hit the road. 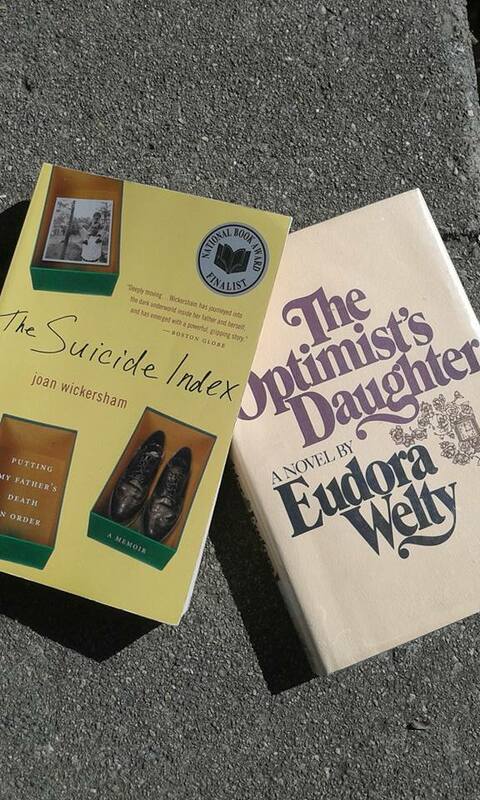 I grabbed a couple of books I had finished reading, as well as a couple of books The Librarian was giving away and headed out to find the Little Free Library. I asked a woman pushing a baby stroller if she knew where it was. She did! Just keep going straight, she said. Then I saw it in the distance. The closer I got, the more excited I became. When we were discussing Little Free Libraries, The Librarian told me there has been controversy surrounding them in some cities. I was indignant! How could anyone be against Little Free Libraries? 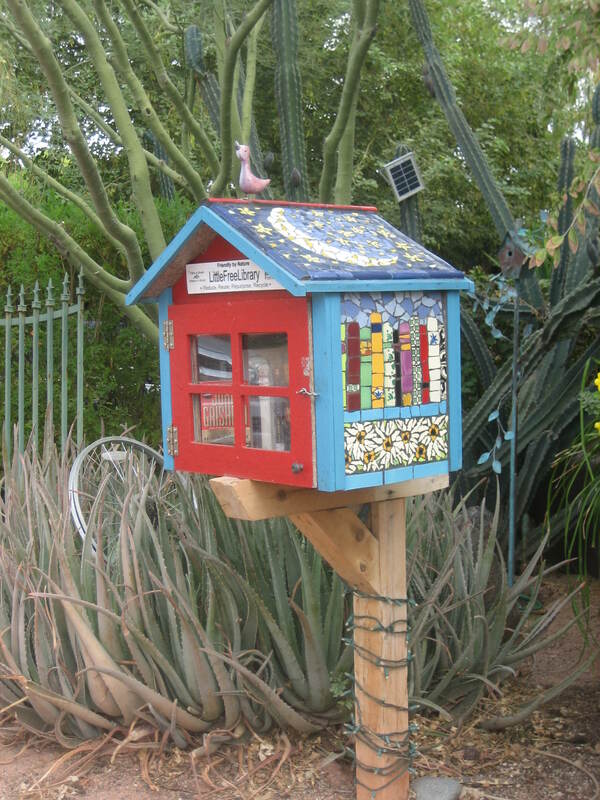 in some cities, [Little Free Libraries are]…illegal and those cities are spending scarce resources to clamp down on them. Why? Scarce city funds being used to pay for a permit to allow what residents were willing to do for free must be the height of myopic absurdity. Thankfully, however, some residents are fighting back. The Los Angeles Times reports of at least one instance where a resident who was served with a citation will be taking the case to court. And in Shreveport, Louisiana, public outcry and civil disobedience led to city council rewriting zoning ordinances and granting an exemption for what would have otherwise required a commercial permit. 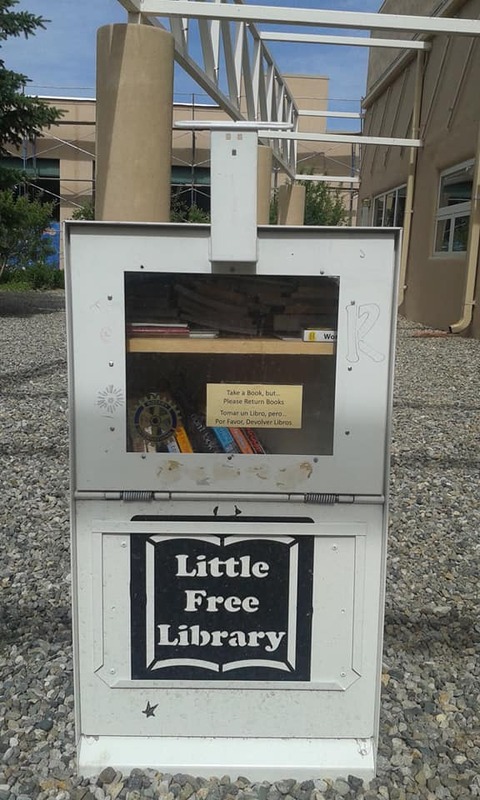 I hope the stewards of Little Free Libraries in other cities will fight against foolish bureaucracy, because I want to visit more of these places of community sharing.